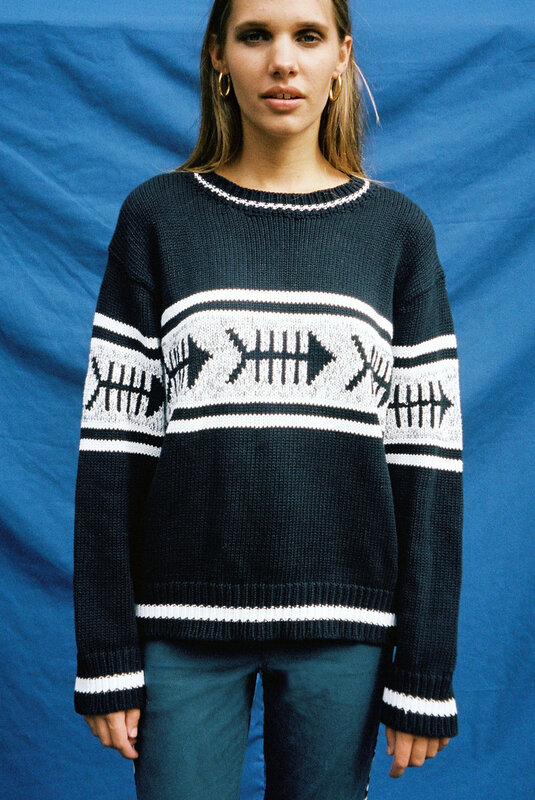 The Something Fishy Knit, back by popular demand and re-coloured to Navy and White. A classic easy fit jumper in 100% Cotton fully fashioned knit, with fish bone and stripe motif. LIMITED RELEASE AND EDITION Style is exclusively online in small quantities. Hand made and Non-mass produced.